Living Libations is best known for their Best Skin Ever range, and this is one of the more recent iterations of their bestseller. So what is Best Skin Ever? It’s an oil cleanser that you can also use as a face, hair and body oil. Unlike most other versions of Best Skin Ever, the sandalwood does not contain coconut oil. This makes it perfect for those of us who are sensitive to coconut oil. No matter how pure, products with coconut oil break me out, and I’m so glad this is 100% coconut oil-free. Living Libations is one of those rare brands that have unanimously positive reviews online. 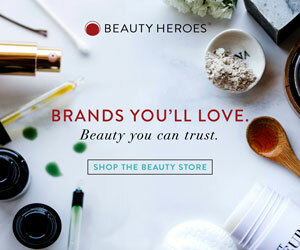 Normally, you always see one or two people complaining about cystic acne from using cleansing oils, but their Sea Buckthorn Best Skin Ever Cleansing Oil has probably the most number of positive reviews I’ve seen for ANY skincare product. These reviews are not just positive but poetic: people often use words like ‘magic’ and ‘alchemy’ to describe their experience with the brand.